The ZUK Z1 now has a special version that comes with a back cover made from oak wood. This has been announced in China as a limited edition, priced over there at CNY 1,799 ($283 or €259 at the current exchange rates). That's just CNY 100 ($15, €14) more than what the normal iteration of the phone now goes for. So you're not paying a big premium for the exotic material on the back. The oak used for the special edition's back apparently originates in the Appalachian Mountains in the US. What you see on the smartphone is the pure, unadulterated color of the wood, as it hasn't been dyed in any way. 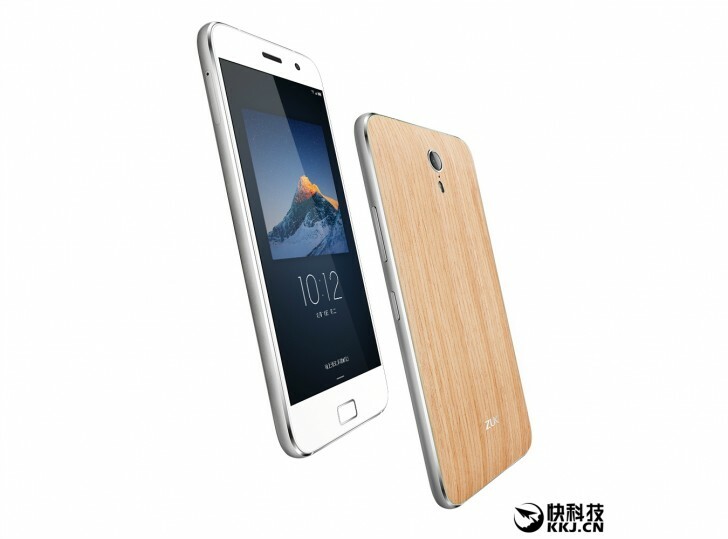 Aside from the wood, the special edition ZUK Z1 is identical to the 'vanilla' product. It also comes with the same 5.5-inch 1080p touchscreen, 13 MP rear camera, 8 MP selfie snapper, Qualcomm Snapdragon 801 SoC at the helm, 3GB of RAM, 64GB of storage, as well as the big 4,100 mAh battery. It runs Android 5.1.1 Lollipop.